Landry & Arcari Rugs and Carpeting is proud to sponsor the 5 Under 40 awards and offer each winner the unique opportunity to design and produce a hand-woven Oriental rug. Landry & Arcari offers the largest selection of Oriental Rugs in New England and a fine array of broadloom carpeting. Founded in 1938, we have showrooms in Boston and in Salem, Massachusetts. Our vast selection of hand-woven rugs includes fine antiques, formal and traditional designs, tribal rugs, Kilims, Tibetan and contemporary rugs. We design and produce many of our own rugs. If you can’t find the ideal rug, Landry & Arcari can design and weave it for you. The fine selection of carpeting for wall-to-wall, stair runners and area rugs includes natural fibers such as all-wool, sisal and sea-grass. Our in-house expert installation team ensures the best service and highest quality installation. Please visit us at www.landryandarcari.com, which has more than 1,000 pages showing a sample of our large inventory. At Back Bay Shutter Company, we love designers. And what’s more, we understand them. They’re juggling seventeen trillion things 24/7. And they want everything they touch to be perfection. They’re just like us. Because that’s what we’re after when we’re making our interior architectural shutters — perfection. We measure meticulously. We hand sand and custom spray finish our shutters. We use stylish high quality hardware, and we professionally install our shutters, so they fit exactly right. It’s the same way we approach our shades and blinds. We offer historic wooden venetian blinds, contemporary Comfort Screen, canvas, refined Bamboo, as well as Reed and Grasscloth shades from all over the world. And we specialize in powerful, long-lasting motorization systems. Our Lutron and Somfy trained experts can motorize any of our shades or blinds, which can be operated by infrared, radio remote, or wall switches. Or if it’s easier, they can be integrated into the home automation system. At Back Bay Shutter Company, we not only offer the best window treatments on the market, we also offer the best customer service. We challenge you to find a company that is more responsive. We even offer adjustments and maintenance service for as long as you have your shutters and shades (and that will be a long time). So, designers, while we know things can go wrong on a job, if you work with Back Bay Shutter Company, you know one thing will always go right. In fact, it will go more than right. It will go perfectly. Gregory Lombardi Design is an award-winning, 20-person landscape architecture firm specializing in bespoke designs for private residences and commercial clients. We are skilled in all aspects of landscape architecture, from overall site master planning to the detailed design of landscape structures, landforms, plantings, and custom elements, as well as the selection of accessories and site furnishings. Eschewing any single style, our design philosophy calls for the fresh interpretation of classic, timeless principles of order and proportion to create meaningful spaces for our clients. Whether the project is an urban Boston roof terrace, a traditional Cape Cod compound, or a luxury resort in Palm Beach, our aim is to create environments that enhance their surroundings, inspire their inhabitants, and awaken the imagination; we craft every detail, believing that within each small moment of clarity the soul of a project lives. Hutker Architects, Inc., is a full service architecture and interior design firm providing in depth design strategies, comprehensive project coordination, and site specific construction observation. The firm’s staff includes experts in property planning, architecture, and interior design. Founded by Mark Hutker, AIA, shortly after his arrival on Martha’s Vineyard in 1985, the firm’s early commissions for renovations and expansions grew into commissions for new residences and buildings throughout the island. From those early projects, through the present, Hutker Architects focuses on working with durable materials endemic to the region in designs that call for the highest standards of craft by the area’s builders and artisans. The firm’s strong emphasis on design, material, and craft underpins all its work. Today, forty design professionals apply innovation to tradition in pursuit of solutions to each client’s requirements. Over the past quarter century, Hutker Architects has designed and completed over 200 residential, commercial, and institutional buildings in New England and beyond. The team’s work process embraces a highly collaborative approach to ensure the resulting product reflects the client’s imagination and lifestyle. 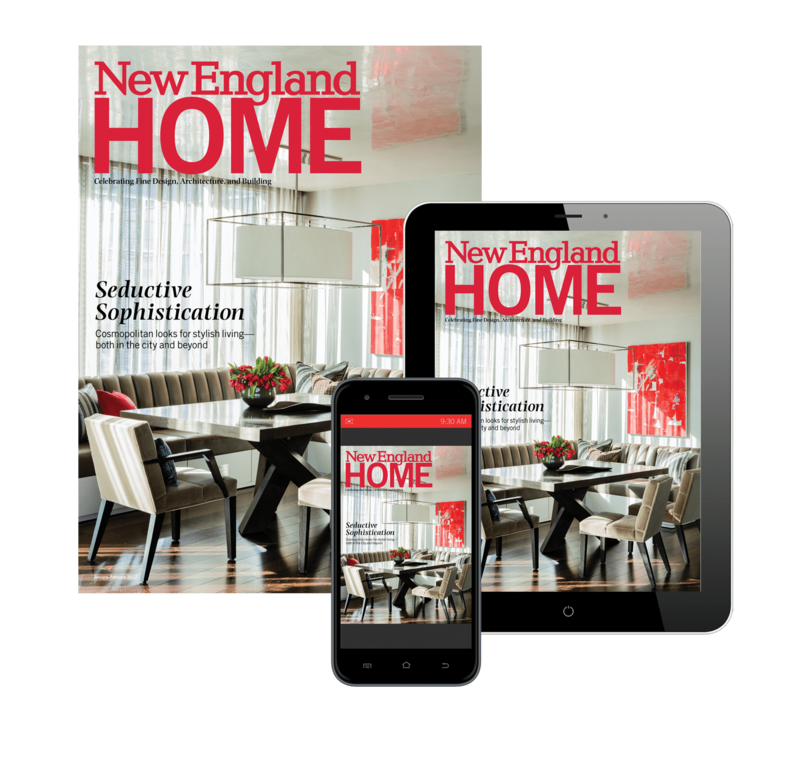 The Boston Design Center, New England’s premier resource for design professionals, with showrooms featuring over 1,200 luxury product lines of fabric, furniture, lighting, antiques, fine art, wall and floor coverings, kitchen and bath components, and contract services. In addition to honoring the traditional design-trade-only model, the Boston Design Center also has interior designers available to meet with customers, to facilitate purchasing from showrooms. The BDC attracts Boston’s brightest designers, skilled makers, specialty manufacturers and home and contract furnishings. Its showroom community has served design professionals and their clients for over thirty years, providing unrivaled product selection, customer service, and design expertise. For more information, visit www.bostondesign.com or follow @bostondesigncenter on Facebook and Instagram. Extraordinarily Beautiful, Exceptional Craftsmanship, Legendary… for over three decades, these words have been used to describe the unsurpassed work of Woodmeister Master Builders. Woodmeister’s distinctive homes and interior details are crafted to delight and endure for centuries. Our craftsmanship and passion for excellence provides a unique experience for our customers…and we’re building their one-of-a-kind homes and interiors wherever they take us. Through inspired collaboration, Woodmeister handles any size project – from small millwork fabrication and installation to highly sophisticated whole house construction, and, in any setting – from remote island hideaways to chic urban high rises. And with Woodmeister’s Lifestyle Management Services, homeowners enjoy peace of mind knowing that their home is impeccably taken care of. The Karastan Carpet and Rug Brands were born in 1928 on a foundation of innovation, craftsmanship and quality. Today, more than 88 years later, Karastan’s brand focus is still rooted in these essential principles¾providing consumers with stylish, innovative products that are unique, durable and attainable. Designed for the way you live NOW – Karastan answers to a style conscious customer with beautiful carpets and rugs that pair high standards of excellence with outstanding warranties. As one of the only American manufacturers with operations that are integrated from fiber making through shipping, Karastan checks and rechecks every detail to ensure it’s carpets and rugs provide years of lasting value and enjoyment.